Most people don’t see themselves as having the personal power or influence to make a compelling difference in climate change. But so many of the design decisions made every day have a climate implication; each one can help promote a low-carbon future that doesn’t rely on fossil fuels. Those who create the products and built environments of everyday life—from mechanical engineers to architects—have an important role to play by designing for climate change. Climate change is real and progressing: 2016 was the hottest year on record, for the third consecutive year. The effects of climate change are clear in rising sea levels, more frequent and intense storms, droughts, and floods. These changes in weather patterns create resource scarcity, displaced communities, increased risk of disease, and political and economic turmoil—all profoundly impacting people’s lives. Global warming is more than an environmental issue; it’s a human issue. But it’s also a business issue. Energy is one of the largest contributors to climate change, accounting for 84 percent of greenhouse-gas emissions in the United States. And as temperatures rise, so will energy costs, the EPA predicts. Fortunately, the 2015 Paris Agreement is an encouraging step toward ensuring those rising energy needs don’t mean catastrophe for the planet. The Agreement forged a consensus among 195 nations (despite recent claims that U.S. President Donald Trump is preparing to withdraw) to keep average worldwide temperatures from rising more than 2 degrees Celsius, thus averting climate calamity. But to achieve that, there’s work to be done. Designers and engineers can address climate change by designing for higher productivity. The most significant way designers and engineers can address the climate-change challenge is by designing for higher productivity. Increased productivity requires maximizing value (output) while minimizing costs (inputs, such as energy and material resources). In terms of architecture and construction, that could mean designing buildings that use less energy. On the manufacturing side, it could be designing products that last longer and use less virgin material. One thing is certain: Energy and resource productivity is paramount in all forms of design. 1. Ask Energy-Productivity Questions Up Front. 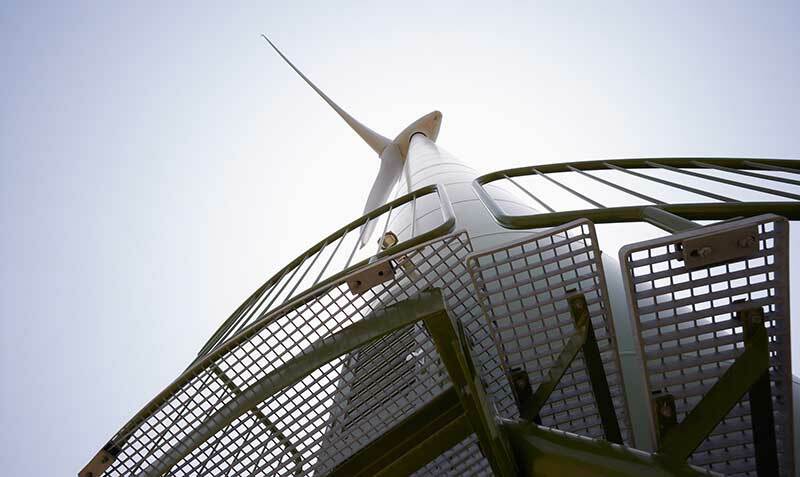 From the start, asking questions such as, “What is the energy implication of this design decision?” or “How will this choice increase energy and resource productivity?” ensures designers and engineers keep costs down while adding value. It’s important to raise these questions early—such as when choosing a building’s site or selecting a material for a new product—and often, thereby setting the precedent for continued sustainable design choices throughout the life of the project. Those seemingly small decisions add up to big impacts. 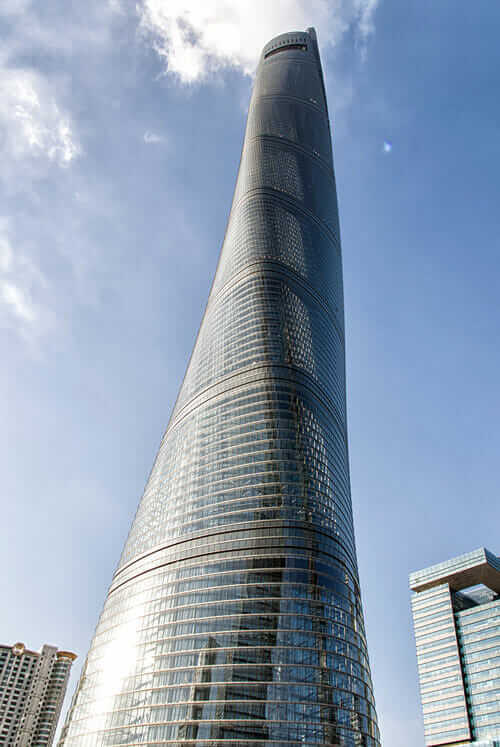 Shanghai Tower, China’s tallest building, saved 25 percent of its material costs because the architects focused on how to lightweight the structure while maintaining its strength. And they did that by analyzing how wind would strike the building and then shaping it into a twist so that it would cut through the wind. Those decisions were planned from the beginning of the project, not tacked on as a “green” afterthought. 2. Model, Simulate, and Repeat. It is now easier than ever to evaluate early design decisions by using simulation technology to quickly model and test alternatives. Electronics company Opto22 discovered this firsthand. The company analyzed the electronic cooling for its Groov hardware interface (used to control the Bellagio Hotel fountains, among other things) with the goal to give the device a smaller form factor. The redesigned interface eliminated all moving parts, including two fans, resulting in greater energy efficiency, reduced raw-material requirements, and lowered costs for assembly and labor—a full 70 percent savings in labor costs. If designers and engineers, like Opto22, use the simulation tools available today, they can run the early analyses that yield similar energy, material, or time savings—while also saving money. But project stakeholders must be aware of the gains so that they start to expect and even demand sustainable practices throughout the design and engineering process. 3. Take the Long-Term View. It’s important that designers and engineers make long-term decisions that consider the product or project lifecycle. Take industrial-fan manufacturer Howden France, for example. The company analyzed its fan wheels (PDF), accounting for fatigue and adjusting their thickness and weight. Optimizing the wheels’ weight enabled Howden to reduce the fan’s inertia, leading to better lifetime performance and reducing the power required for the motor. And that led to lower operating costs—a big win for customers. Designing for repair is also key; after all, the most sustainable product is often the one that lasts the longest. HP knew this when it released the Elite x2 1012 G1 tablet. The company offers online repair documentation and readily available replacement parts so that users can repair their units themselves. 4. Consider the Whole System. Designers and engineers who use the process of whole-systems thinking consider the relationships among complex systems, instead of focusing on individual parts of systems. This is important because challenges such as climate change represent a set of interconnected issues that can’t be solved in isolation. By taking a big-picture view and considering the whole system, the most important opportunities often arise, and can be incorporated, early in the process. The team behind the Urbee hybrid electric car applied whole-systems thinking to the goal of producing an affordable, fast, safe method of personal transportation that runs on a small amount of energy. By taking into account all the interdependent factors and uncovering issues they could address up front, the team was able to deliver a fuel-efficient hybrid that gets 150 miles to the gallon and weighs just 1,200 pounds. 5. Communicate. Designing for higher productivity will result in cost savings for customers and more value delivered. But those victories must be communicated to customers. 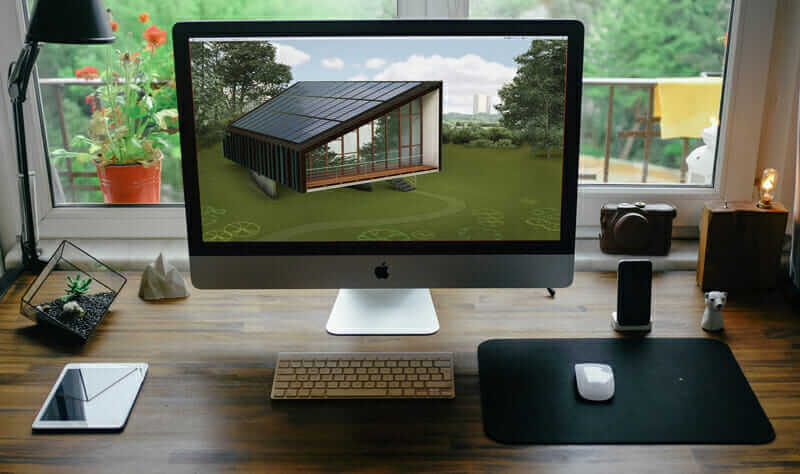 It’s up to designers and engineers to educate their clients, suppliers, subcontractors, and colleagues about the choices that can make a real difference to the bottom line—and to climate change. Simply put, sustainable design is good design. And responding to climate change is much more pressing today than ever before. If more designers and engineers commit to asking efficiency questions early, using simulation and analysis tools, and taking a long-term and whole-system view, the climate-change needle will move. And the best part is, they’ll be reducing emissions while increasing value for their customers.